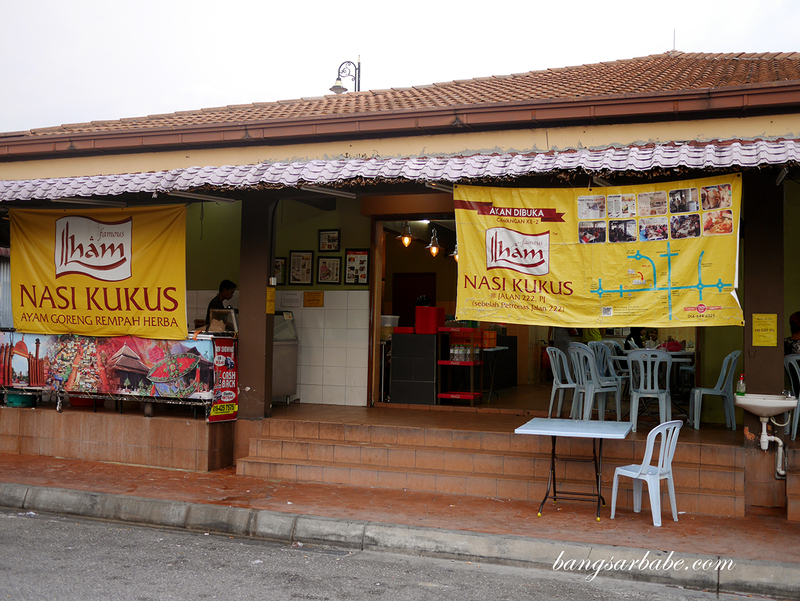 Nasi kukus isn’t something I eat often but when my friend raved about how good Nasi Kukus Ilham is, I knew I had to give it a shot. 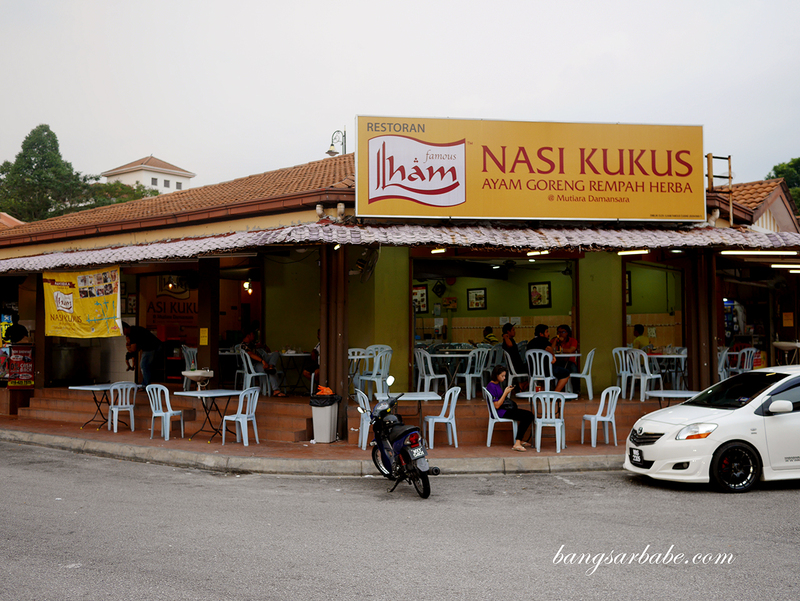 Nasi Kukus Ilham is said to be one of the best around and if you get there slightly past 7pm, expect a crowd. 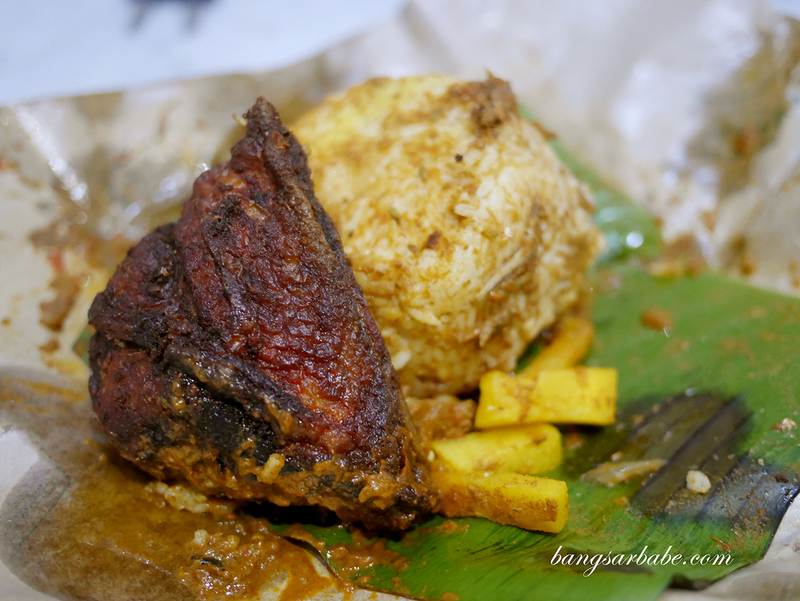 Only nasi kukus (RM6.70) is available here, served with pineapple caramelised with sugar and onions, three types of of gulai (gulai ikan, gulai darat and kuah kerutup daging), ikan bilis and a piece of freshly fried chicken. Sambal belacan is added to the rice; it’s fiery, to a point your tongue tingles and beads of sweat would from across the forehead and the back of the neck. 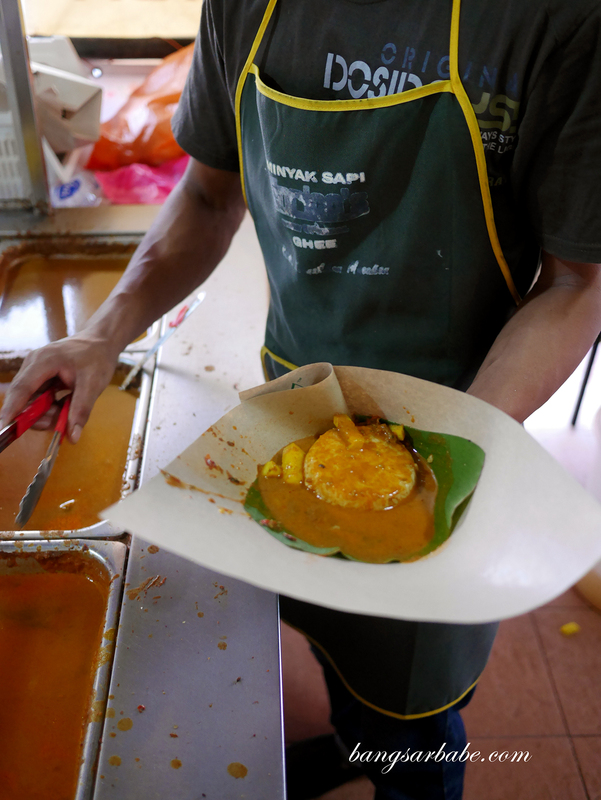 You can of course opt to omit or add more items – I would suggest going for more gulai and pineapple. 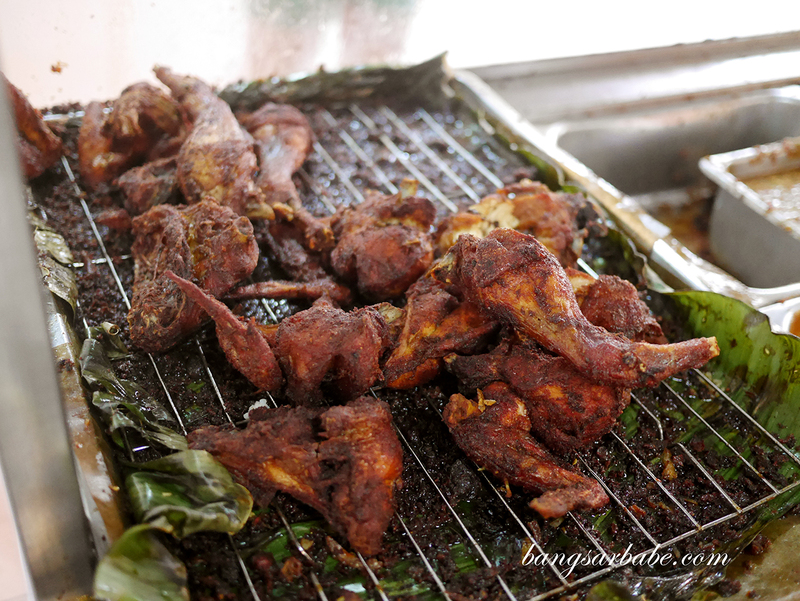 The chicken is marinated with a blend of spices, a recipe from the owner’s mother who hails from Kelantan. 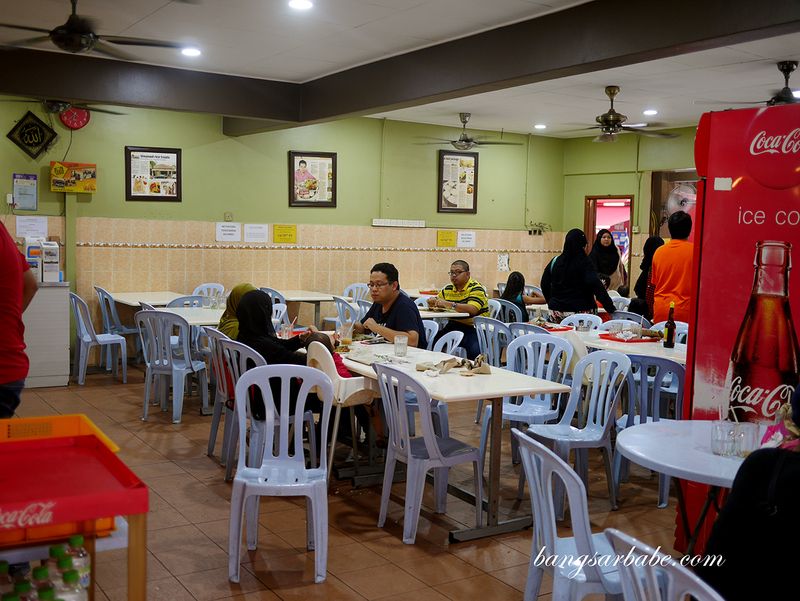 I liked how the gulai is spicy with a tinge of sweetness, giving the dish a balance of sweet, savoury and spicy. We had ours to go and even so, the rice was delicious. 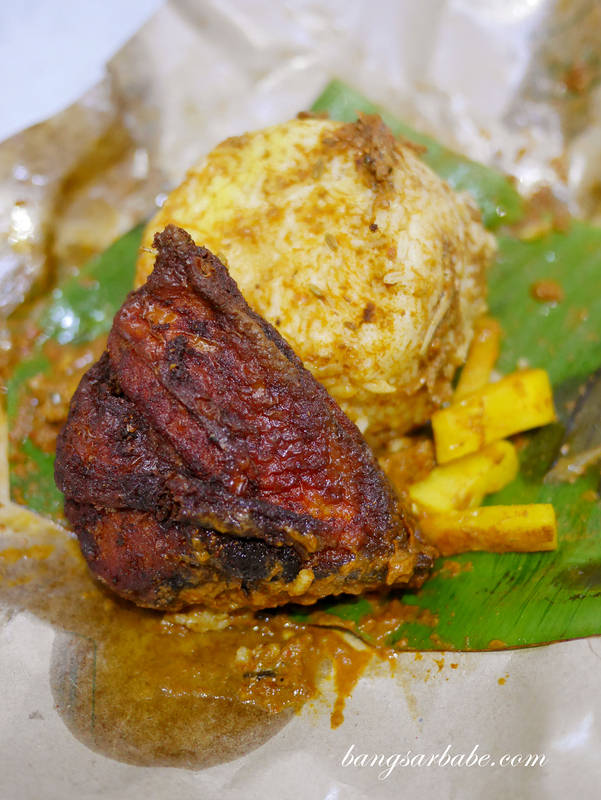 The combination of gulai and sambal belacan further flavoured the steamed rice, and the sweetness of the pineapple helped offset the fiery notes of the sambal. 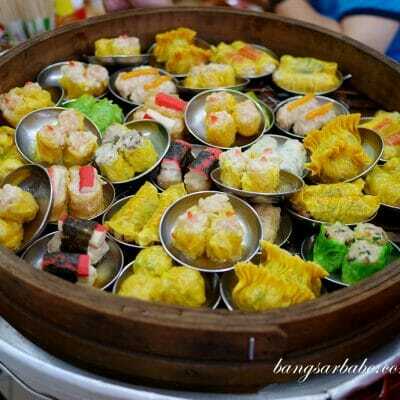 It is to a certain extent addictive, because I’m already craving for more. 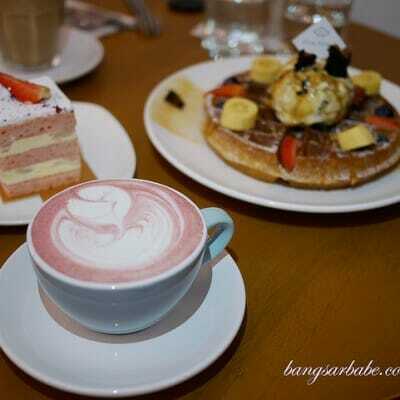 They also have a branch in Jalan 222 which is said to be bigger and more comfortable. Give this a try and let me know what you think! Verdict: I like how the gulai and sambal flavours the steamed rice, giving it a balance of savoury, sweet and spicy notes.